Another post inspired by izuzu15's cosplay pack posts! 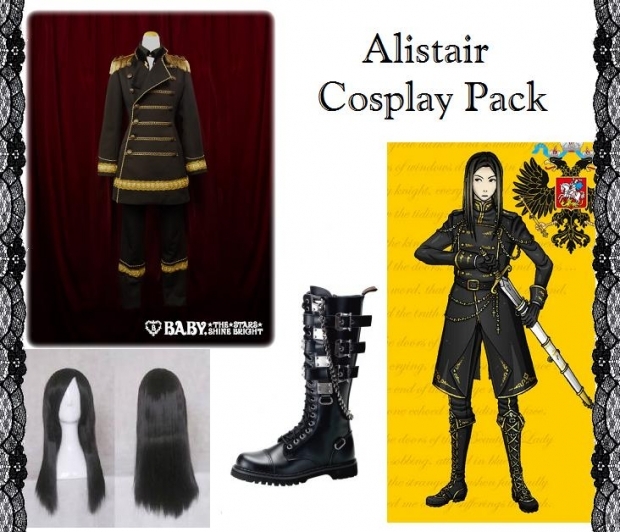 The suit is from Alice and the Pirates (a line of BTSSB), the shoes are from Demonia, and the wig is just some random thing I found on google. I really wish the boots came in gold to match the suit since they were the closest thing I could find without looking cheap.